We put together a list of human resources organizations to consider joining. Hopefully this list will show you some of the differences between the many organizations and opportunities and help you choose the one that’s right for you. From HR Generalist to CEO, the SHRM member body proudly represents a wide range of positions and levels in business with 40% having the title of Director or higher. They also state on their website that 50% of members work for companies with 500 or more employees and 35% of members come from the manufacturing industry. The association offers local chapters, conference opportunities, publications, certifications, industry research, awards and scholarships, and more. 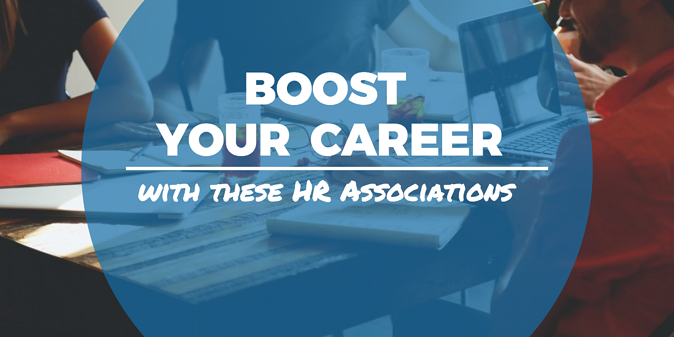 Membership includes HR tools, HR advisor service, weekly webcasts, compliance resources, HR magazine, online discussion groups, SHRM discounts, and customizable HR tools like interview questions, job descriptions, sample policies and more. Membership: Individual membership plans only. HR People + Strategy is SHRM’s Executive Network for those with 10 or more years of HR experience with a focus in HR strategy & planning, leadership development, or talent management. Membership includes membership with SHRM and advanced-level access to reports, conferences, and more. The National Human Resources Association is a non-profit organization run completely by volunteers. The association focuses on career development through professional networking programs, leadership opportunities, and development services. This national association has regional affiliates and is looking to expand to even more regional areas. Because the organization is run by volunteers, they have placed a “high focus on products and services that will bring bottom-line savings and value to organizations.” Events with NHRA are often smaller, providing more opportunity for deeper connections and learning. *Membership rates vary by region. Figures listed here are based on the National Affiliate listing. AHRD is a global organization formed to encourage the study of human resource development theories, processes, and practices and distribute educational resources and findings about HR. The AHRD also provides networking opportunities for HR professionals working in a variety of disciplines. Membership benefits include: conferences, publications, resources, awards, and faculty mentoring projects. Also offer membership options for “Special Interest Groups” and retired HR professionals. The Association for Talent Development (ATD) is a professional membership organization for professionals responsible for the training and development of employee skills. The ATD produces a large amount of content through research, books, webinars, and other educational materials. The association also develops members and offers networking opportunities through conferences and other events throughout the year. A great organization for HR professionals wanting to improve recruiting and development skills. Includes a “Job Bank” and virtual career fair for those searching for jobs or recruits. IHRIM has been a leading membership association for HR information management professionals and offers you a unique community that blends education, collaboration and professional certification. Membership includes conference opportunities, resources, job listings, HR tech, webinars, community access, certifications, and more. NAAAHR provides a forum for the career development of Black and African American human resources professionals. NAAAHR offers an “inspirational and unique career development and networking powerhouse for Black and African American human resources practitioners.” The group focuses on networking, career advancement, educational and professional development, mentorship, coaching and more. CUPA-HR focuses on HR and management in the field of higher education in the U.S. and internationally. By monitoring trends in the higher education workforce and its issues, the CUPA-HR conducts research and promotes strategic discussions among colleges and universities. The Association for Manufacturing Excellence creates an environment for manufacturing professionals to, “exchange best practices and network in order to advance their careers and improve the competitiveness and overall value of their organizations.” With a special section for human resources, this is a great organization for anyone in an HR role with a manufacturing company. The American Arbitration Association is a non-profit organization specializing in alternative dispute resolution for individuals and organizations who wish to resolve issues out of court. With expertise in labor and employment, the AAA provides “rules and procedures to handle cases in an efficient, flexible manner.” The AAA’s arbitrators and mediators are made up of business and legal experts. Visit the AAA’s arbitrator and mediator page for more information about selections. The American Management Association focuses on advancing management principles. They offer extensive seminars, conferences, and other resources to improve the skills for successful business and management. Did we miss one? Tell us which HR organizations you’re involved with and why you chose them! If you want more HR resources, sign up for updates.